As processing and memory specifications rise then so do the options available to software and sound engineers. Don`t compare too closely the specification sheets. 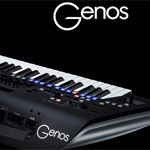 The tone generating technology is AWM (advanced wave memory) on the original Tyros just as the Tyros 4. The difference in what we hear between Tyros and Tyros 4 is streets apart. Similarly the DSP and Reverb improvments apply to all the sounds just the same as the brand new ensemble voices, the 29 brand new super articulation2 voices and the 128 brand new super articulation 1 voices. The Tyros 5 boasts some of the best improvements ever on a Tyros keyboard. The Organ benefits from sampling technology processing speed and software engineers. 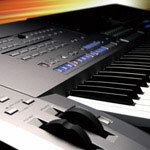 Tyros 5 excels in its ability to let the user create, modify and enjoy organ sounds. Traditional home organs may be almost extinct but the sound like Elvis will always live. The user interface ( what we see on the screen ) is programmed to look just like the traditional Lowreys, Hammonds and Wersi home organs with you, the user being able to pick and choose drawbar and tab settings. Classical and church organists can set stops and save them. 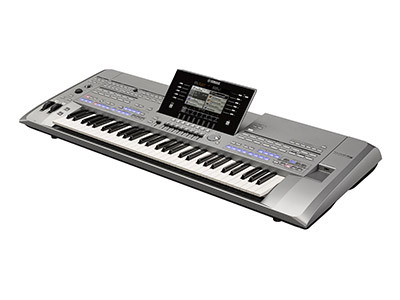 Tyros 5 has complete organ technology to let you get exactly the sound your looking for. Lowrey called it AOC and were the originals. 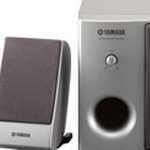 Technics called it technichord and expanded it to included may types of harmony. Yamaha now call it Harmony. Single fingers in the right hand have harmonies added to them depending on the chord being played. Yamaha have revised, improved and updated this section. It has become intelligent adding harmonies where appropriate and looking at other notes being played. LAN Adaptor * May not be included depending on your particular area. 539 styles - all the audio styles are different to the ones on S950 - all styles will be different - even those with the same name. example 60's guitar pop - same name but sounds incredibly better. - registrations from Tyros4 will sound better on Tyros 5 even though using same sounds and styles because of the huge difference in DSP effects and the styles as previously mentioned. - sounds like one of the latest clavinovas - lots of new piano sounds including s.art upright piano's and 2 octave latin piano's. Vintage keys pack that was on T4 SE is better on T5. Chord detection - previously it has not been possible to seperate chord detection so that now you can play chords in the right hand that the accompaniment will be deriven from with a bass in the left hand which does not affect the chord pattern - Uses - especially useful for people accompanying themselves or another person singing or wheres there is something else playing the melody line other than you. The organ section is incredible , where previously organ enthusiasts have found it necessary purchased organ sounds from third partys or premium packs for iconic organs such as Wurlitzer, Wersi ,Lowrey , now those sounds are so impressive its hard to imagine anyone needing to do that , in addition the classical organ sounds are simply stunning , even if classical organs wouldn't normally "float your boat " they are now so good it makes you want to play them. There are also theatre organ pedal voices which are used in the new theatre organ styles but also can be used independantly for those of us who can still play with our feet ! There is also a free play theatre organ style which is very useful if you want the same effect as playing an organ with pedals. Its important to realise that whatever your ability you can really benefit from this feature , it will blow you away ! We had great guitar sounds on Tyros 4 , of course there are a lot of new fantastic guitar sounds on Tyros 5 but what is really missing is the guitar amplifier , if you are a guitarist you will understand that the key component in creating an iconic guitar sound is the amplifier that the guitar is played through . This is a great new feature on Tyros 5 , you can take an existing guitar sound and depending on what amp you put it through the differences can be dramatic, whether you plug it through a classic 60's VOX AC30 , a Marshall 4 x 12 o, a Mesa Boogie or a Roland Jazz Chorus makes an incredible difference , its also nice and simple because the image shown on the screen is exactly as it would show on the Guitar amplifier, if your not familiar with guitar amps you can just twiddle the knobs in front of you and you will hear the difference. Clearly a lot of work has gone in to the speaker system even though they look exactly the same , there is obviously much more clarity from the satellites and also the bass unit internal components have changed to cope with the new awesome organ sounds , we tested this and it did cope with them very well , when you hear those new organ sounds you will understand why the speakers had to be altered to cope with them ! If you play keyboard style normally , in other words with a fingered chord or a single finger chord in the left hand , you may be tempted to think that because you don't play piano style then you don't need the extra keys, maybe you've said to yourself "I've always had 61 keys and never felt that I needed any more so I'll stick to 61" . Here are some reasons why you should consider the 76 . First, because the speakers are further apart the sound is better , in particular the stereo effects, the difference in sound is surprisingly prominent considering its around 8 inches different. Secondly, having an extra octave for your right hand melody is helpful , a low piano or a high violin , on the 61 key you might have to use the octave buttons to get the same effect, that of course means pressing a button , obviously its much easier if you don't have to press a button to get the desired sound. Lastly the option to have a second split is technically available on the 61, but you probably haven't used it because theres just not enough keys to give you a decent amount of notes to play on a different sound , on the 76 you could have a decent amount of keys to play say a piano sound up so far and then , say vibes for the rest of the way , again not having to press a button to change from piano to vibes , in case you're thinking that the vibes will be too high pitched, or maybe the piano is too low pitched , of course you can change the octave of each split area then save it into registration memory. All in all considering the difference in price is relatively negligible the 76 has to be the winner in most circumstances, there will be some instances when you just have to stick with the 61 , for example we had one customer who stuck to the 61 purely because thats what fits across the back seat of his car, so in that case , fair enough !.